The gift you give helps change lives and renews hope. Make a selection from the options below and remind people they have not been forgotten. You can also view the entire catalogue for detailed information about each program. If you already know which donation you would like to make, head straight to our donation page! Supports three van shifts, reaching up to 300 clients. Enables 8 participants to learn how to present their story publicly. Helps support outreach to people who are homeless and educate a new generation of change makers. 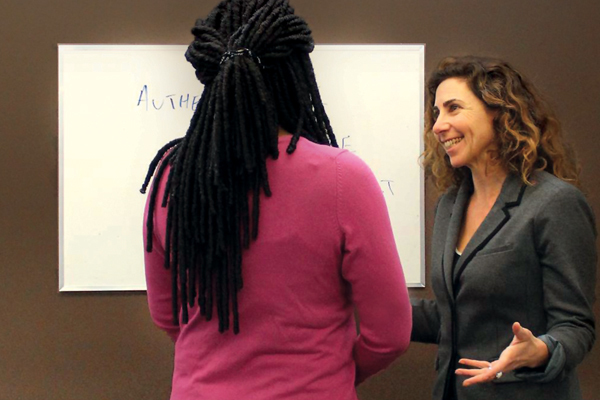 One-on-one case management for two participants for one year. 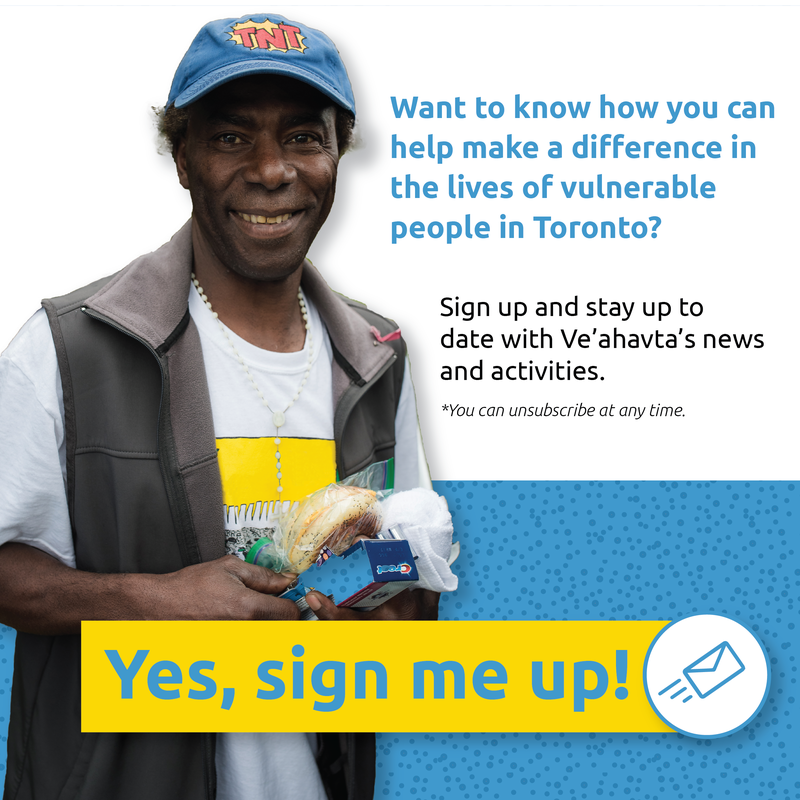 Provides 100 healthy meals, for vulnerable people in Toronto. 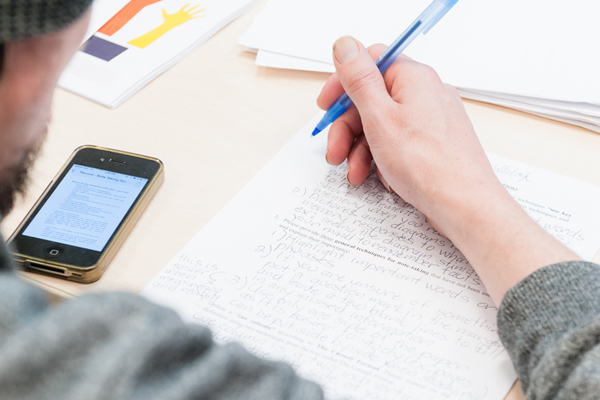 Provides funding for training workshops for MYTORONTO participants or vendors. Provides one week of classes for one participant. 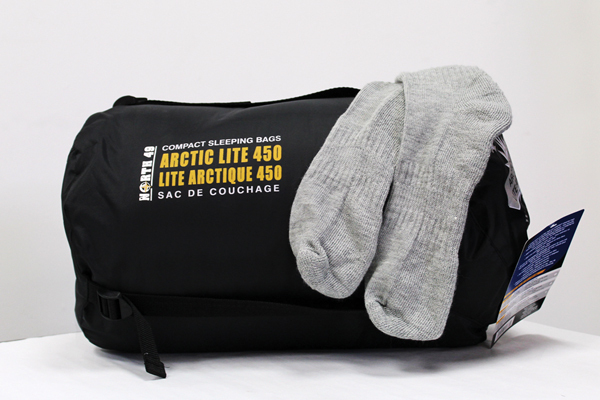 Purchases 5 cold weather sleeping bags and 10 packages of warm socks. 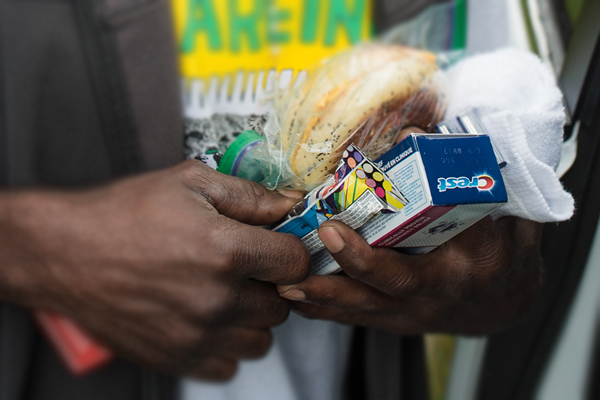 Purchases hygiene products for half a year for a person living on the street. Please help us make change happen today. Ve’ahavta’s outreach van provides people with essential supplies to survive the elements. 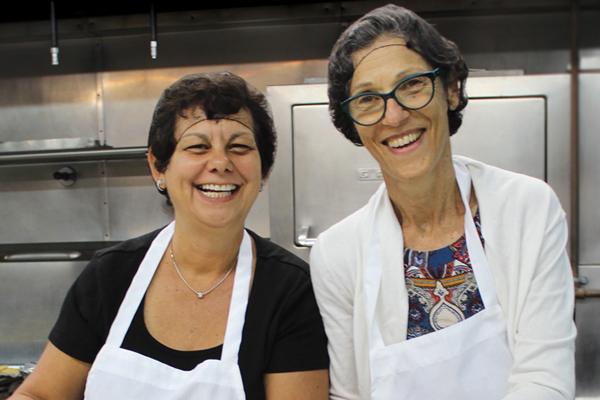 Our Ve’ahavta Street Academy and other programs inspire hope, restore dignity and help people who experience homelessness, poverty and other barriers to make transformative life changes. *Gifts presented here are representative of the types of programs funded and the types of items that will be purchased. 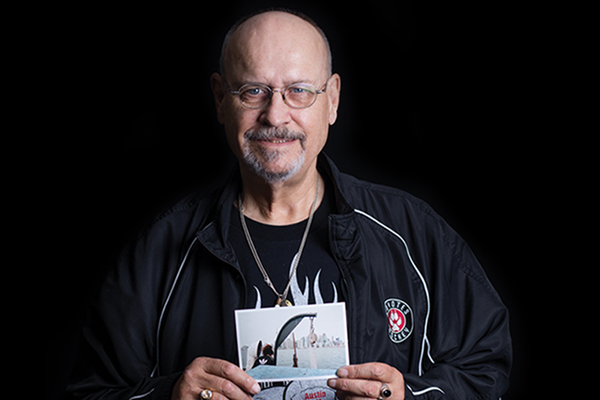 Your generous donation will be used in the most effective way to address the needs of the individuals served. Your donation will directly support Ve’ahavta’s poverty alleviation programs, and further our collective mission of tikun olam (repairing the world). Keep up to date with Ve’ahavta news and activities! 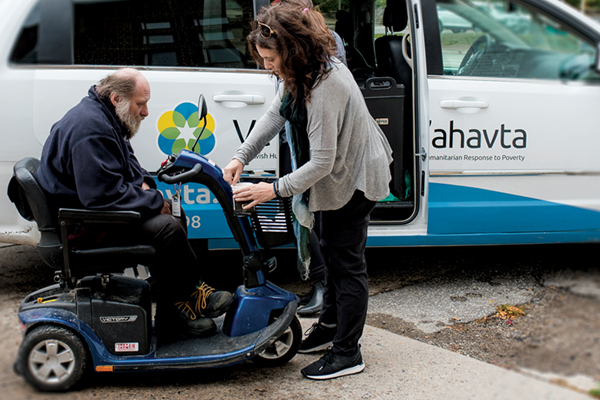 If you require information in an accessible format, please email info@veahavta.org or call 416.964.7698. Privacy & Customer Complaint Policy - For more information please click here. The Standards Program Trustmark is a mark of Imagine Canada used under licence by Ve’ahavta.